We slipped up on Photo of the Day yesterday. Does being threatened with a cavity search in Minnesota* sound like a feeble excuse? Well we have a doozy of a pic today and as long as we don't fall foul of the Patriot Act we may even have a couple of weekend posts to make up for the lapse. 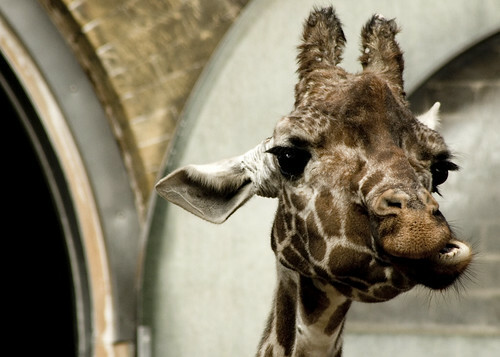 nic0's London Zoo: Masticating giraffe does exactly what it says on the tin and then some. Just check out this guy in the original (2893 x 2066) setting and be glad you're not a tasty bit of overhanging acacia foliage. *Yep - bits of Londonist are traveling for the rest of the month, but are refusing little things like holidays and over zealous customs officials to get in the way of the blogging.